If you’re stepping straight off the train into King’s Cross, you may be forgiven for thinking there’s not much to its drinking scene. 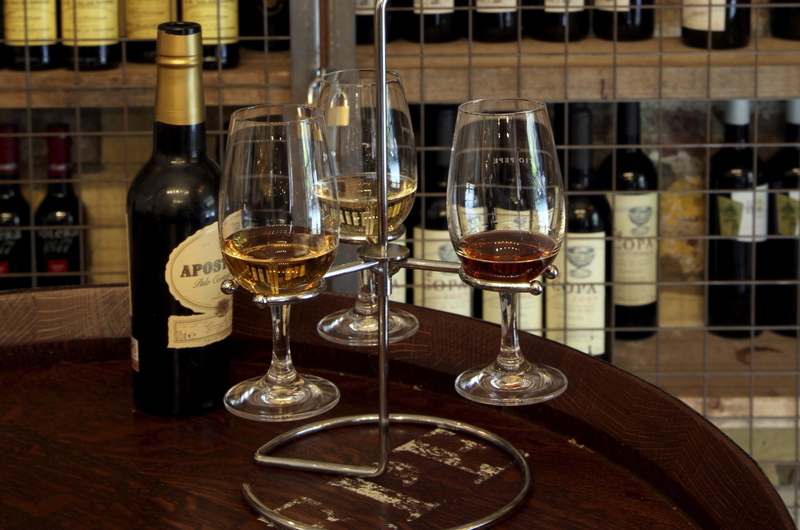 But if you know where to look, there are some great places for wine, spirits, craft booze and beyond. 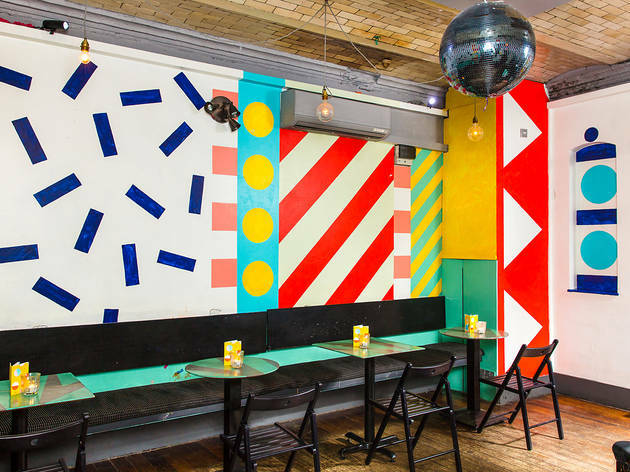 Take a look at our list of the best places to drink in the up-and-coming neighbourhood – from old-school and new-fangled DJ bars (check Spiritland for sure) to quirky cocktail joints and upmarket wine bars (Chapel Down are among the newest boozy residents). 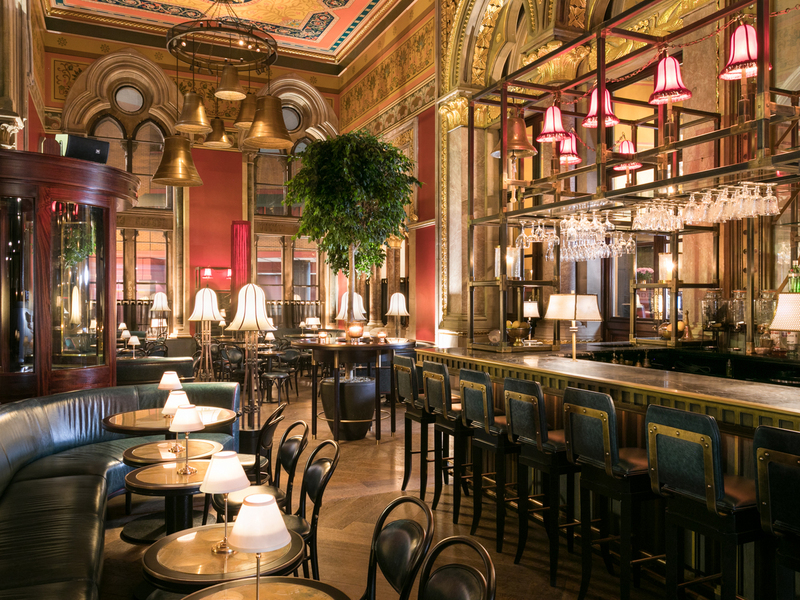 This jet-black bar is a calm spot ideal for sipping strong cocktails. 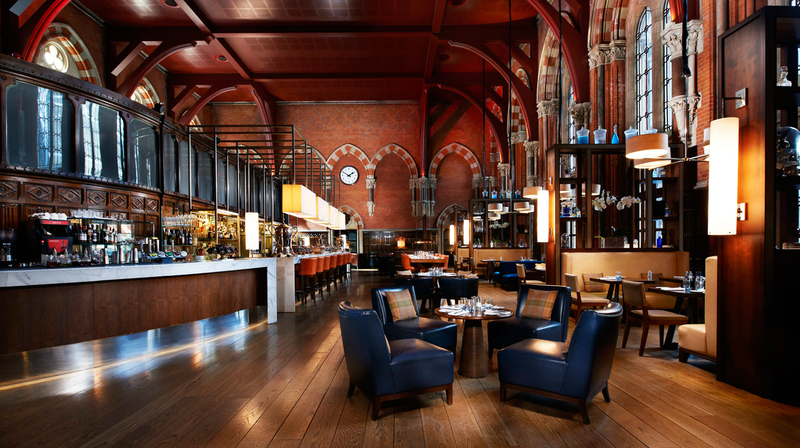 Sink into the sofas with a martini made to order for one of the more fancy ways to pass the time before your train gets in – you can just about see the King’s Cross concourse through the windows. The range of gin and vermouth is impressive and bar staff seem to get the martini-making craft. 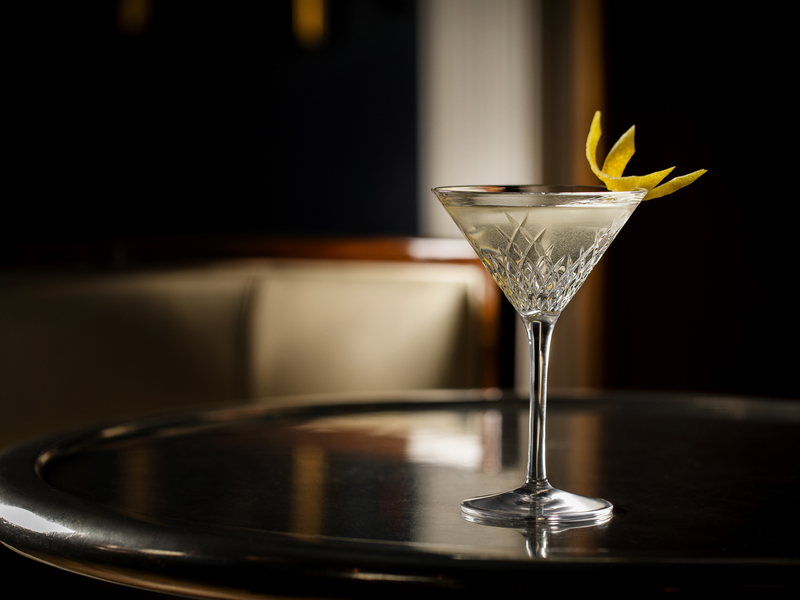 It may not be the trendiest spot, but for martini lovers, it’s time to get squiffy. 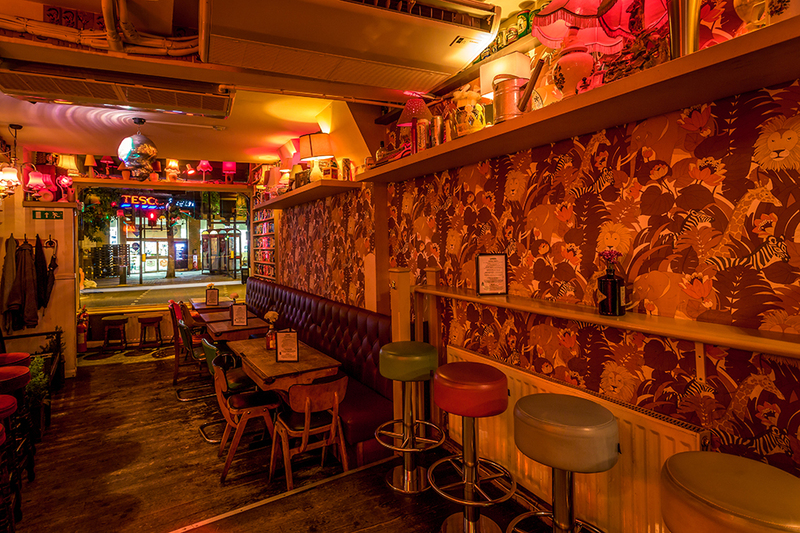 Bars don’t get much smaller than Pepito, whose tall bar stools seat fewer than twenty people. In this case, size doesn’t matter one bit – the intimacy suits the experience, which is all about quiet communion with sherry and tapas in Andalusian style. The sherry list covers all the bases and tapas are flawlessly executed. The Big Chill House has been going for years and is an icon of the area, even if it’s possibly had its heyday. 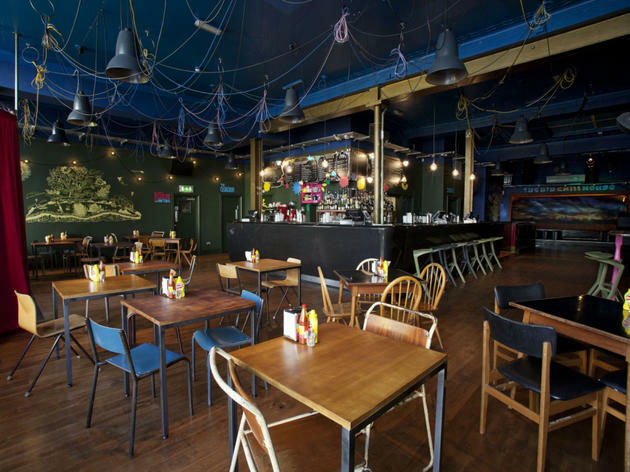 Housed in a large, difficult building, it can feel a little tumbleweedy on quiet nights; it’s best to head here when DJs are spinning on Fridays and Saturdays. Food includes on-trend tacos and an upstairs patio comes into its own in the summer. For cocktails and a bit of high-flying in the area, The Booking Office wins. 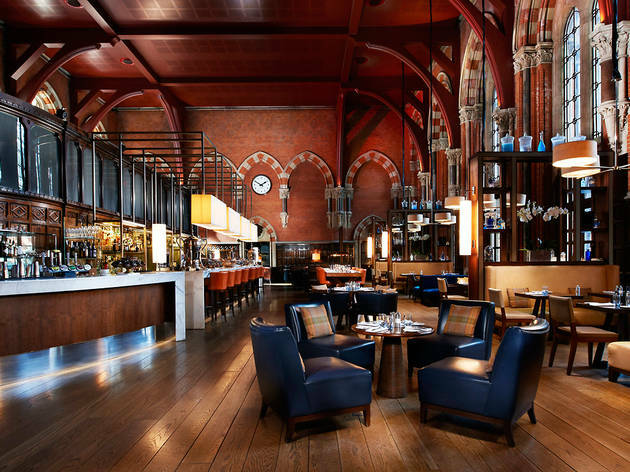 Part of the Renaissance Hotel, it’s a tall-ceilinged place to drink, with dark wood and soaring gothic arches. 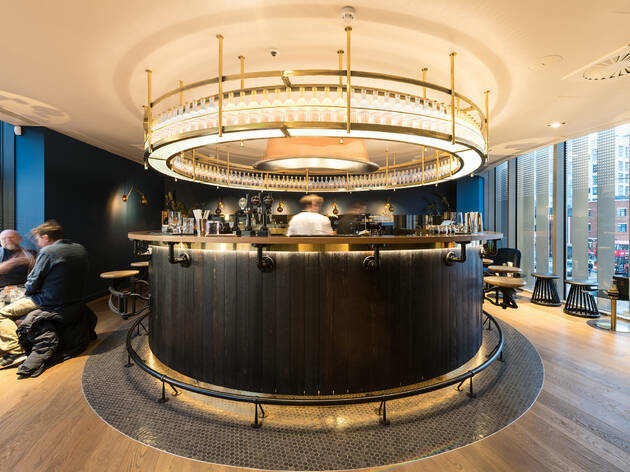 Cocktails come at hotel prices – around £14 for a drink – but are expertly mixed and include options from a menu of ‘re-spiced’ cocktails in honour of the hotel’s staircase where the video for ‘Wannabe’ by the Spice Girls was filmed. 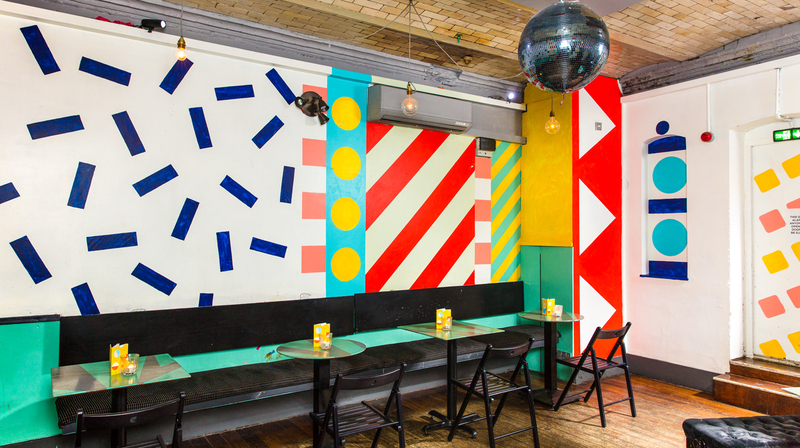 Venue says To celebrate the Spice Girls reunion, we've launched our exclusive Re-spiced Cocktail menu, here, at the home of the iconic 'Wannabe' video! Sure, you know Caravan for its coffee and its continent-hopping small plates, but don’t overlook it as a pretty spot for a well-mixed drink. 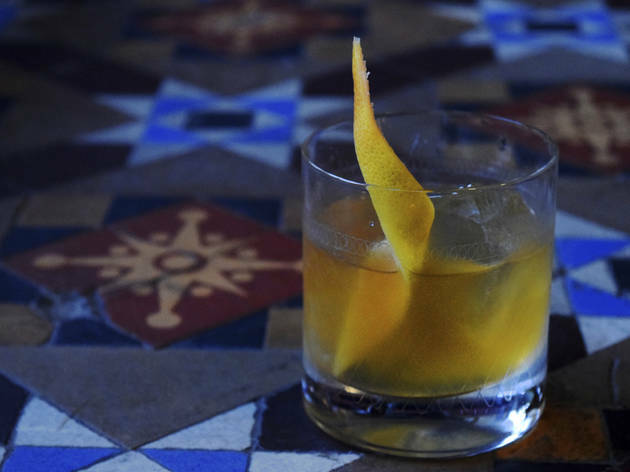 Crowd-pleasing cocktails – from brunchtime bellinis to spritzes – rub shoulders with originals on the drinks list, including the Flying the Coop, which features ginger, sage and cardamom flavours in among tequila. The micro-distillery isn’t quite yet up and running within this Chapel Down outpost, but you can still sample the Kent vineyard’s output within these plush King’s Cross surrounds – from its famed wine to gin made using grape skins in the distillation process. Or try all those things mixed into original cocktails – Chardonnay Collins, any one? It’s a slightly corporate-looking location, but fun staff break the ice and you can ignore it all completely on a two-tiered, canal-facing terrace, anyway. 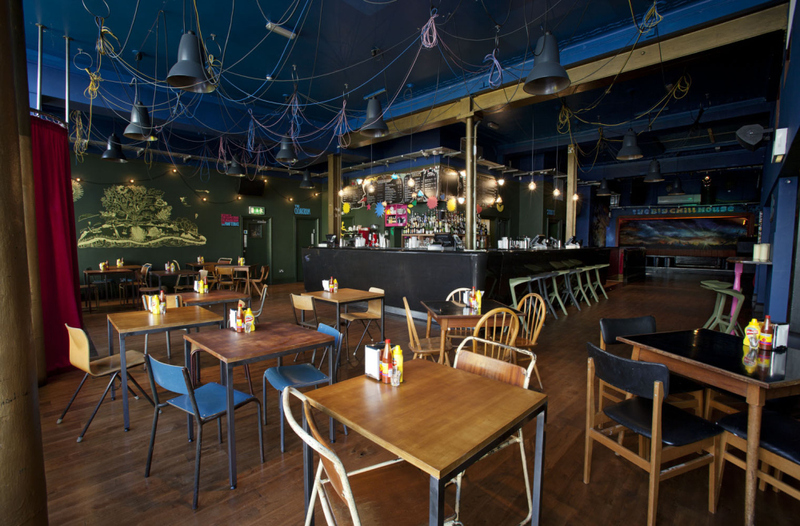 Café and craft workshop by day, bar by night, Drink, Shop & Do is known as a one-stop shop for all kinds of good times – from dance classes that teach you to shake like Shakira to musical bingo nights and beyond. Cocktails verge on the sweet side of things but include the millennial girl’s dream: Black and Gold is a cocktail made from Chambord, glitter and prosecco. A wine bar brought to you by the team behind Barrafina, The Drop has a gentler Spanish vibe to it, a cute oyster cart at the door setting the tone. Pick from one of three brick-filled arches in which to sit and sip. 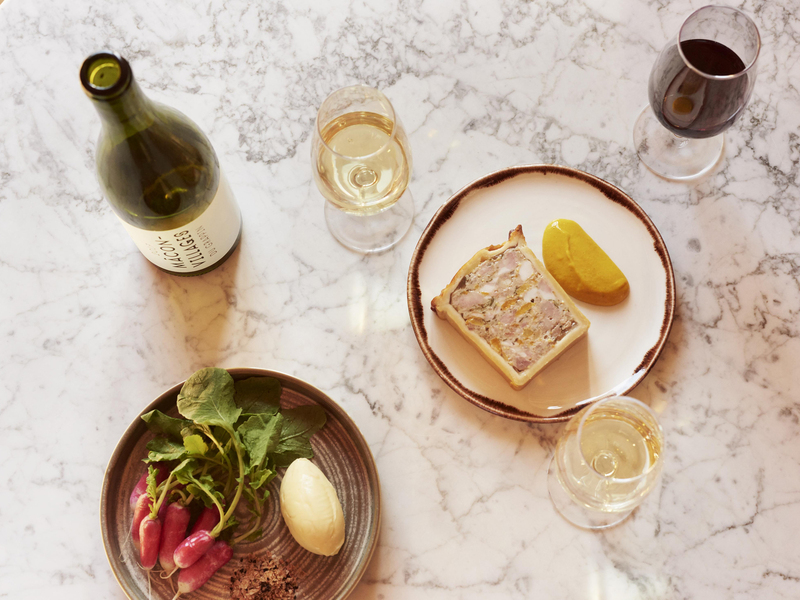 Rather than focus on Spanish vino, the bar champions low-intervention vineyards around the world, with emphasis on emerging regions – so select wine from the likes of Greece, Tenerife and Georgia and pair with comforting pies, tarts, pâté and cheese. 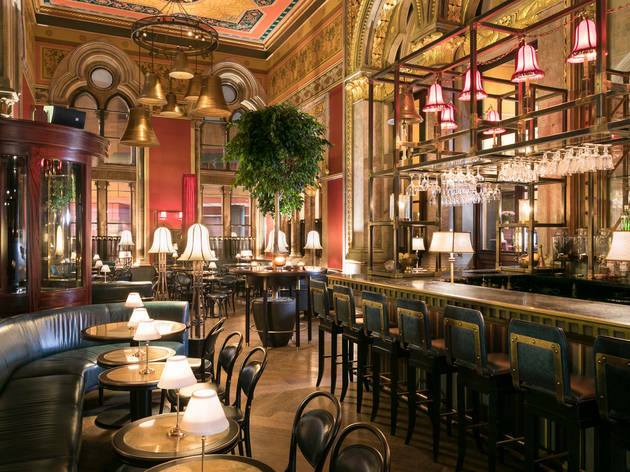 The bar inside the St Pancras Renaissance Hotel and next door to Marcus Wareing’s restaurant is a bit of a looker, dressed in gold and with a grand set of brass bells hanging from the ceiling. Cocktails draw inspiration from Wareing’s farm, so expect to see a few herbal and floral flavours in play. But it’s the sparkling wine that seems to be most popular in this gorgeous haunt. Bored of arbitrarily themed Prohibition bars? Dishoom’s Permit Room has its own thing going on, taking inspiration from Bombay’s Prohibition era. 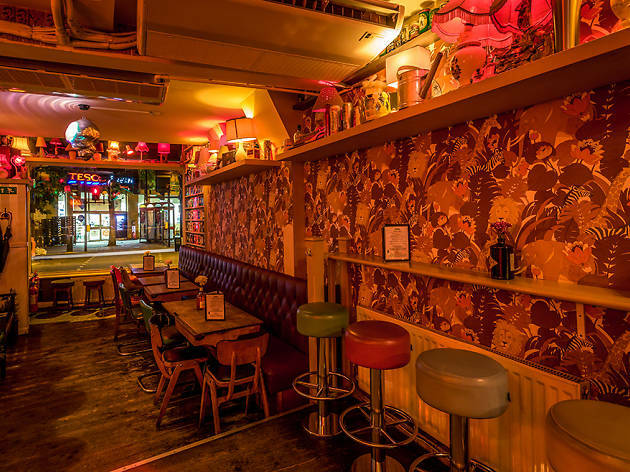 It’s a big basement filled with chatter, a waft of incense and the comings and goings of chipper bar staff. 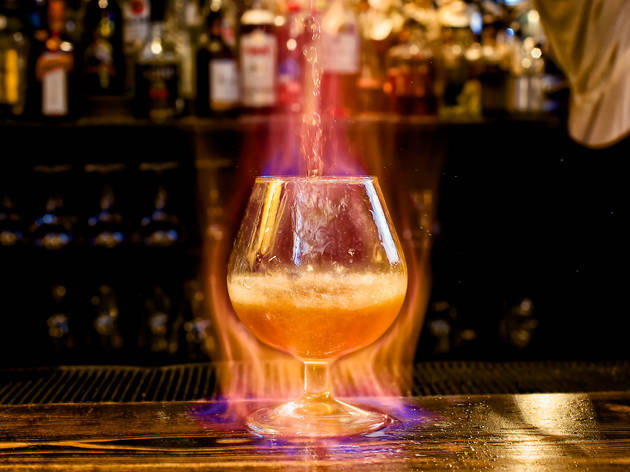 Browse a list of juleps, martinis twisted with Indian aromatics, and low-alcohol and virgin cocktails. 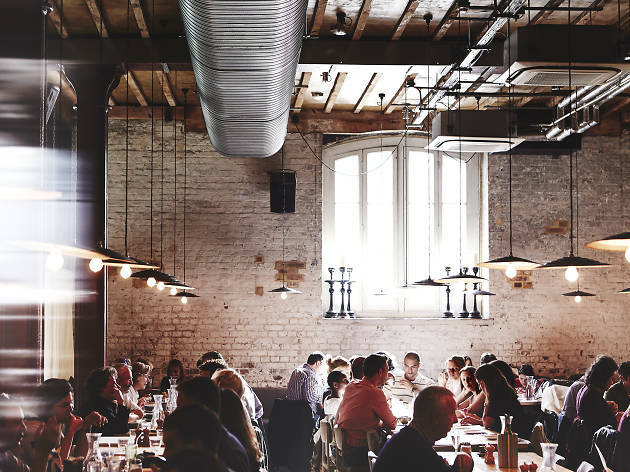 The Racketeer is one of the newest additions to the neighbourhood in an unlikely spot along King’s Cross Road. Wooden flooring, royal blue walls, feature tiles and a log-burning stove make it a seriously cosy drinking spot, but it also suits summer with a neat terrace at the rear. House cocktails are classics, some with a gentle twist. A studenty crowd is drawn to Simmons, with its board games, wobbly furniture and retro music. But in truth, it’s probably the insane happy hour that reels them in, when most prices drop to just £2.50 a drink. 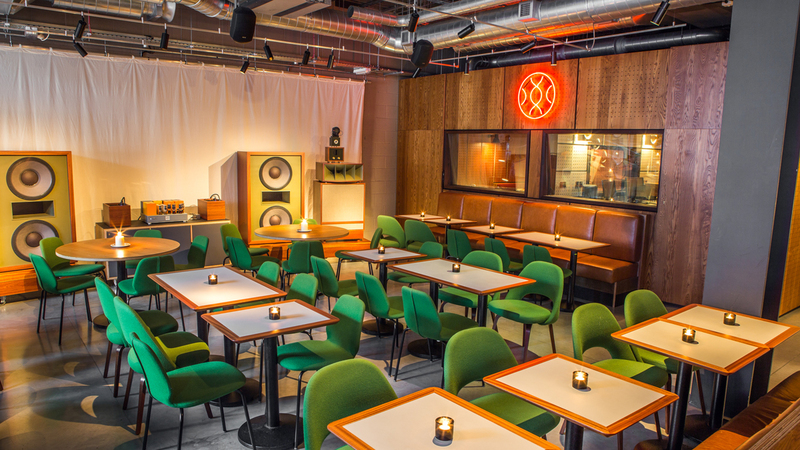 Options include cocktails and taps of Meantime beers atop a tiny bar counter, with a fridge dedictaed to bottles of Brooklyn, BrewDog and more. 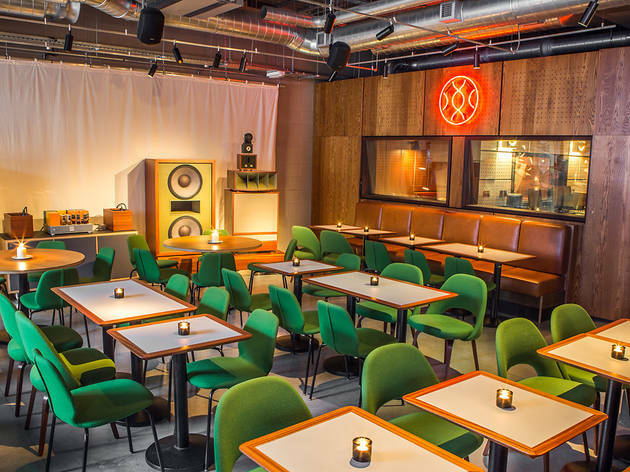 This spot is one for the music nerds, a ‘listening bar’ and recording studio near Granary Square with a focus on sound quality as well as quality music. 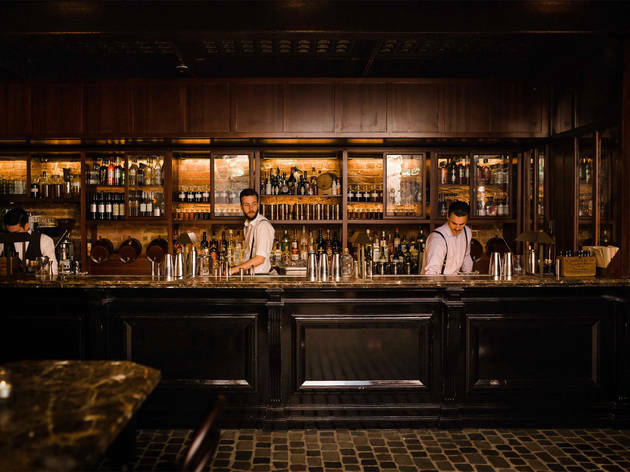 It may seem pretentious, but it’s actually a down-to-earth bar where you can get your groove on while you work your way through a modern list of drinks – beers served as schooners, cocktails named after killer LPs and a ‘skin contact’ section on the wine list. 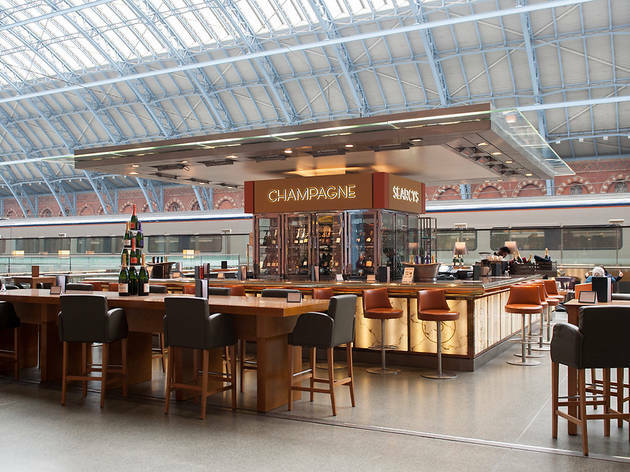 Don’t let fatuous claims about this being the longest bar in Europe spoil what is a lovely pre-travel experience: glass of champagne in hand and tickets at the ready. Underneath William Barlow’s vast curving roof, a wonder of the Victorian age, Searcy’s serves a vast and laudable list of over 100 wines. 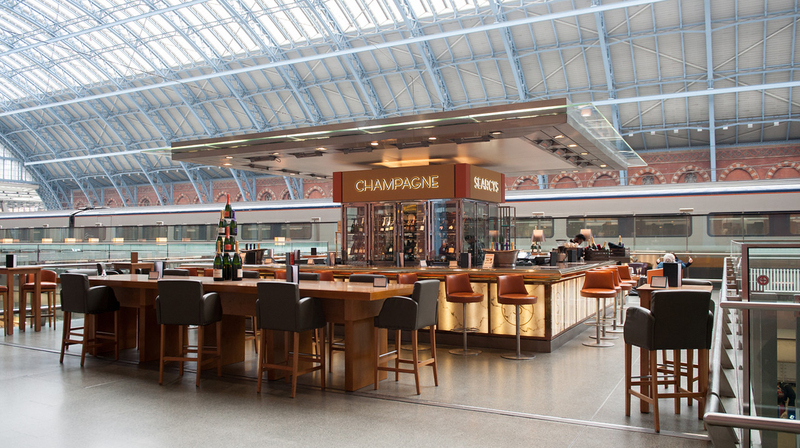 Perfect for pre-Eurostar sipping. 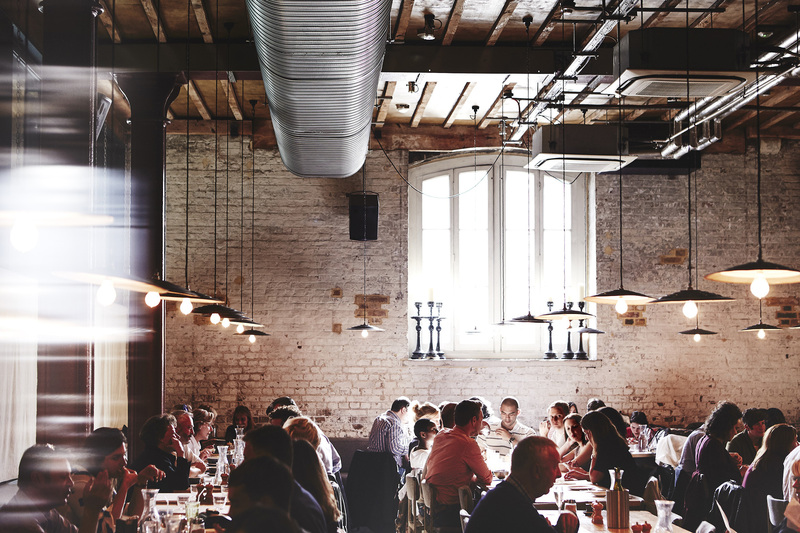 This brewery taproom is stuffed so far round the back of King’s Cross, you’ll be hard-pushed to find it. 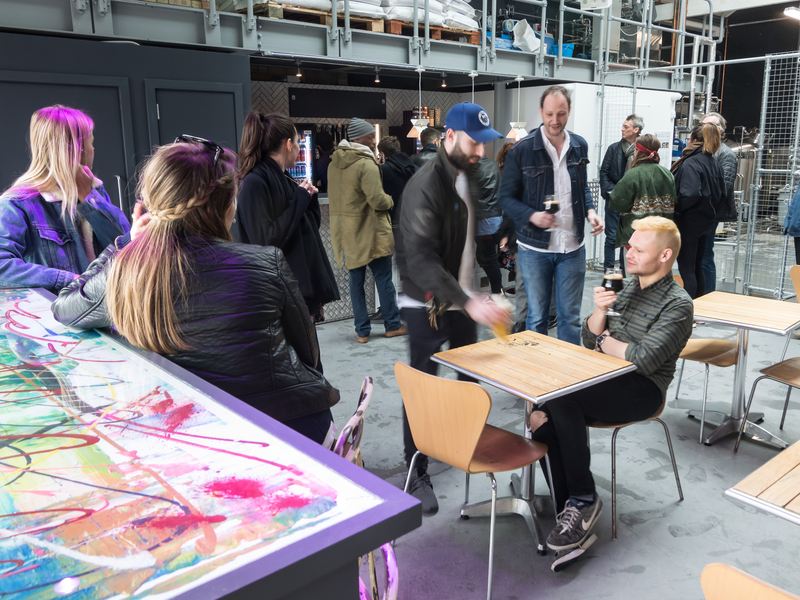 But make the effort for beer brewed on site and a diverse live music and DJ line-up that creates a genuine buzz at the bar. It’s a metallic, slightly sterile space inside, but the courtyard out front provides a surprising amount of metaphorical warmth – customers gather to sample neopolitan pizzas from a truck fitted with its own oven. 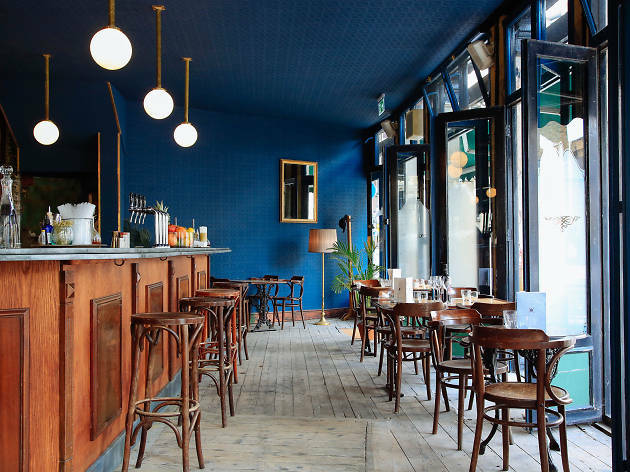 Take things Continental in King’s Cross. 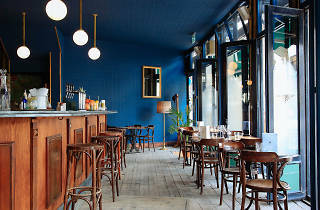 Vermuteria is an all-day café-bar with a focus on vermouth (in case the name didn’t already give the game up. Rows of Italian, French and more obscure bottles of the fortified and aromatised wine line up behind the bar, or you can drink the stuff on tap. 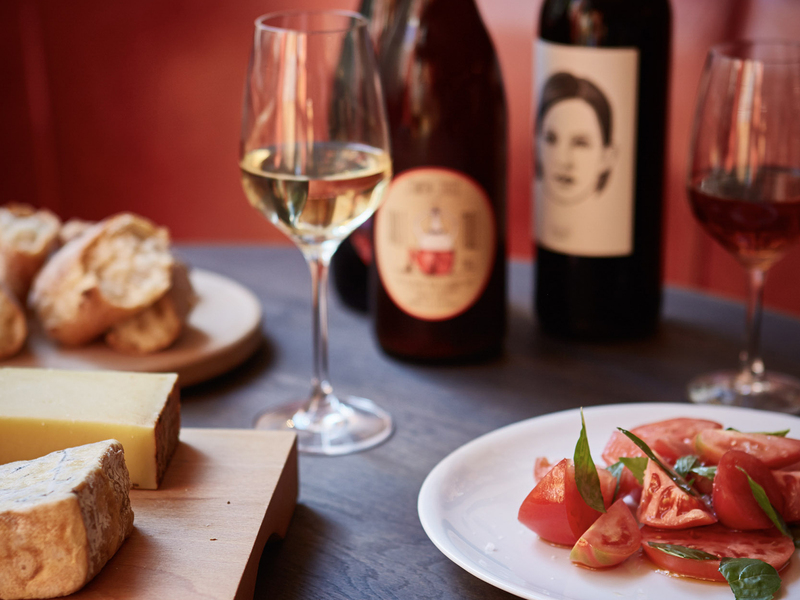 Small plates are also a little taste of the Med – we suggest making a trip on a warm day and enjoying it all on a cute Coal Drop’s Yard-facing terrace. 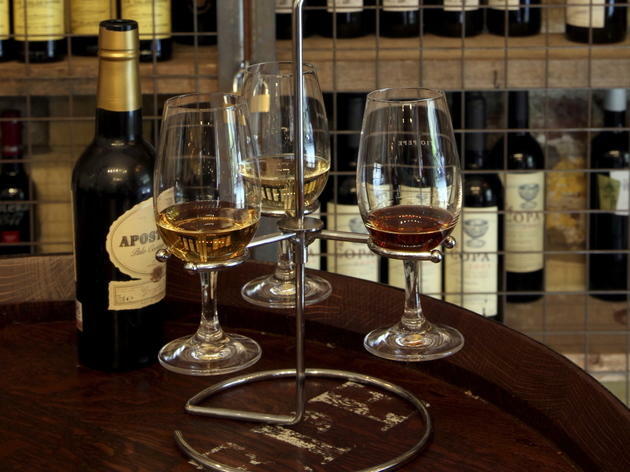 Good and affordable wines by the glass are the main draw at Vinoteca; bargain-hunters will particularly like the handful that are ‘fresh from keg and box’. 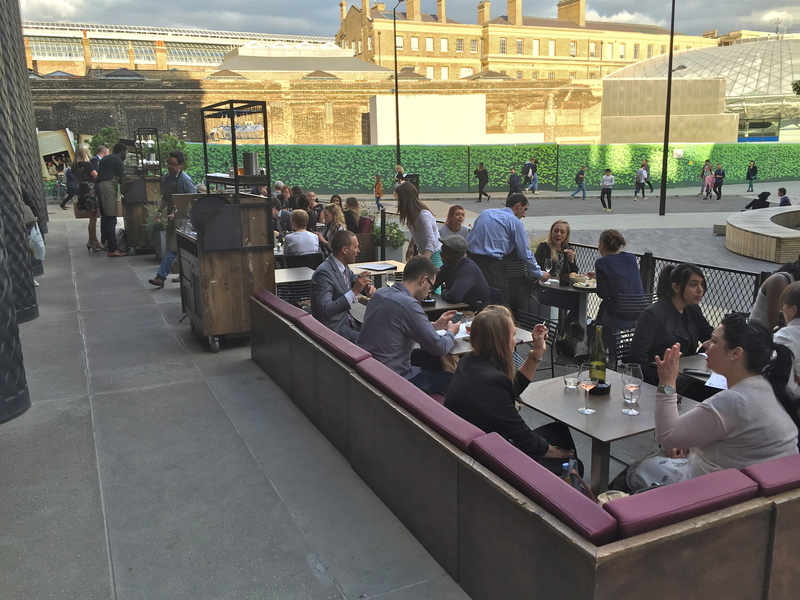 An outside terrace gets rammed with people in summer, yet service is usually on the ball. So stop by for an uplifting rosé or stay for dinner and grab a bottle to share. VOC occupies a smallish, cosy space hidden away from the wheelie-suitcase-weilding masses of this part of town. There’s a nautical and historical theme to the drinks list and punches based on old recipes figure large. 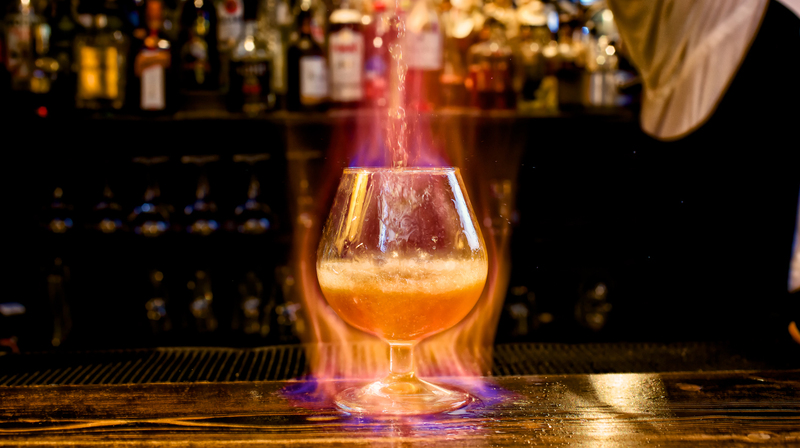 And when it comes to presentation, they’re about as experimental as drinks in the area get.